The court denied without prejudice plaintiff's motion for $17.2 million in attorneys' fees under 35 U.S.C. § 285. "[T]his motion is one of a host of post-trial motions filed by the parties in this case and they have made it clear there will be an appeal to the Federal Circuit, regardless of the Court’s rulings on same. As an appeal is virtually certain, the Court finds that it is premature to decide the contested issues of attorney fees and to undertake the exceptional task of reviewing the calculations of same, at this juncture. Instead, the Court is persuaded by the procedure employed by [another court], whereby he denied a motion for attorney fees, without prejudice, to the parties’ right to renew the motion and arguments after the appeal was resolved by the Federal Circuit. After the Circuit adjudicated the appeal, the parties then renewed their motions and the Court was in a better position to assess whether an award of attorney fees was appropriate." Carnegie Mellon University v. Marvell Technology Group, Ltd., et. al., 2-09-cv-00290 (PAWD June 26, 2013, Order) (Fischer, J.). The court denied defendant's post-trial motion for judgment as a matter of law that plaintiff was not entitled to lost profits. "[Defendant] argues that [plaintiff's damages expert] was obligated to conduct a study reconstructing the marketplace to support his estimate of lost profits. Instead, [the expert] simply assumed that [plaintiff] would have captured 50% of [defendant's] sales, with the remainder being diverted to other market participants with unacceptable, but nonetheless competitive, products. [Defendant] contends that [the expert's] assumption of a 50% capture rate does not constitute sound economic proof and does not satisfy the Panduit test. . . . [The expert's] failure to conduct an empirical market analysis does not undermine the jury’s findings. [His] cautious estimate that [plaintiff] would have captured 50%, rather than 100%, of [defendant's] sales absent [defendant's] infringement merely accounts for the possibility that competing products might experience some commercial success even if inferior to the patented tool in critical respects. [Plaintiff's expert's] prudent concession that inferior products might still capture some sales due to market realities is not inconsistent with the [Panduit Corp. v. Stahlin Bros. Fibre Works, Inc., 575 F.2d 1152 (6th Cir. 1978)] analysis." Illinois Tool Works Inc. v. MOC Products Company, Inc., 3-09-cv-01887 (CASD June 24, 2013, Order) (Sammartino, J.). The magistrate judge recommended granting plaintiff's motion to dismiss defendant's inequitable conduct claims for failing to sufficiently allege who committed the conduct and rejected defendant's proposed amendment. "The defendant responds that it properly identified the individuals as '[two inventors], [plaintiff], and/or their counsel.'. . . Merely removing the 'or' from the pleading does not remedy the defect. The list of possible individuals includes [plaintiff], which, as a corporation, cannot be the specific individual who acted inequitably. It includes two specific individuals and other individuals unspecified by name or in number. This pleading does not identify the specific individual who committed the alleged inequitable conduct, which is a required element of such a pleading." SurfCast, Inc. v. Microsoft Corporation, 2-12-cv-00333 (MED June 21, 2013, Order) (Rich, M.J.). 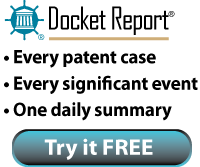 The court denied defendants' motion to modify the default protective order to preclude plaintiff's counsel from participating in patent prosecutions and reexaminations involving defendants' technologies after defendant delayed two years from its first request for a patent prosecution bar. "While the Court does not find that Defendants waived the argument . . . the delay does raise some question as to the propriety of entering a prosecution bar this late in the litigation when Defendants initially raised the issue with [plaintiff's] counsel almost two years ago but did nothing to follow through when [plaintiff] objected. The playing field would have been more level had Defendants sought relief from the Court on this issue prior to the production of Defendants’ documents. If the Court had modified the default protective order to include a prosecution bar at that time, [plaintiff's] counsel could have made a more informed decision about which of [plaintiff's] counsel should be reviewing Defendants’ documents so as to shield some of [plaintiff's] attorneys from any prosecution bar that may have been entered at the time. Defendants did not front the issue at the outset, however, and now [plaintiff] would suffer even more prejudice by not having its chosen counsel so late in the litigation both in this Court and in the patent examinations before the PTO." Helferich Patent Licensing, LLC. v. New York Times Co., 1-10-cv-04387 (ILND June 21, 2013, Order) (Gilbert, M.J.). The court granted plaintiff's motion for pre-judgment interest at the average prime rate, compounded annually and rejected defendant's argument that pre-judgment interest should not be awarded because plaintiff was a non-practicing entity. "[Defendant] does not cite to any case law to support its position, but rather argues that 'any damage [plaintiff] has sustained has been addressed through the jury award, and adding prejudgment interest to such an award would give [plaintiff], a non-practicing entity, a windfall.' After reviewing the parties’ written submissions, the Court finds no justification or basis to support [defendant's] argument that [plaintiff] should be precluded from an award of prejudgment interest because it is a non-practicing entity." DDR Holdings, LLC v. Hotels.com, et. al., 2-06-cv-00042 (TXED June 20, 2013, Order) (Gilstrap, J.). The court granted plaintiff's motion to lift a stay pending ex parte reexamination because continuing the stay pending defendants' piecemeal PTO challenges would unduly prejudice plaintiff. "[T]he timing of the defendants' inter partes reexamination request . . . and the defendants' stated intent to later file a request for post-grant review . . . as a covered business method patent . . . indicate they have adopted a strategy of raising piecemeal PTO challenges to [plaintiff's] patents in order to prolong this litigation. . . . These delays appear to be "impermissibly tactical," suggesting that a continuation of the stay might result in undue prejudice. While the . . . 'relationship between the parties' sub-factor remains both unchanged and untroubling given [plaintiff's] status as a non-practicing entity, the defendants' timing and the status of the [inter partes] reexamination -- as well as the planned . . . CBM review -- suggest that the broader undue prejudice factor now favors lifting the stay. The defendants appear to have sought an inappropriate tactical advantage, and denial of this motion would expose [plaintiff's] suit to the various evidentiary risks associated with prolonged stays." Fifth Market Inc. v. CME Group Inc., et. al., 1-08-cv-00520 (DED June 19, 2013, Order) (Sleet, J.). The court granted plaintiff's motion for an ongoing royalty at a post-verdict rate of 8% (instead of the 9% rate requested by plaintiff) following a jury verdict awarding plaintiff a 6% royalty for past infringement. "The one persuasive argument that [plaintiff] makes is the parties’ relative bargaining positions post-verdict. . . . After an eleven-day trial, the jury returned a complete verdict for [plaintiff] in two and an half hours. Based on this decisiveness and the evidence offered at trial, the Court finds that [plaintiff] is in a stronger bargaining position than it was prior to the verdict. . . . The Court further finds that a 2% increase in the ongoing royalty rate adequately compensates [plaintiff] for the stronger bargaining position." Syntrix Biosystems, Inc. v. Illumina Inc., 3-10-cv-05870 (WAWD June 18, 2013, Order) (Settle, J.). The court denied plaintiff's motion to disqualify defense counsel after counsel contacted plaintiff's expert for information before the expert's deposition and did not identify himself as defendant's attorney. "Before the [expert’s] deposition, defense counsel . . . sent an inquiry through [the expert’s] company’s website. [Counsel] identified himself as “Mike,” with a [Gmail] contact email address . . . [Counsel] did not use his [law firm] email address and did not reveal that he represented the defendant. . . . The court recognizes that [defense counsel's] contact with [plaintiff’s expert] before his deposition could appear inappropriate, but finds that when weighing the prejudices and considering the plaintiff’s delay in filing the motion, the severe sanction of disqualification is not warranted. . . . It wasn’t until eight months after [plaintiff's expert's] deposition and almost a month after the settlement negotiation efforts failed that plaintiff filed the instant motion to disqualify. . . . [T]he timing of the motion supports the conclusion that the communication between [defense counsel] and [plaintiff's expert] did not raise a serious concern to plaintiff and did not reach the level of communication that warrants disqualification." The Ipatt Group, Inc., et. al. v. Scotts Miracle-Gro Company, 2-09-cv-02419 (NVD June 17, 2013, Order) (Ferenbach, M.J.). The magistrate judge recommended granting defendant's motion for summary judgment of no willful infringement as to plaintiff's pulse oximetry patent. "[Defendant's] proposed claim construction of [a term], under which it would not have infringed, was reasonable and credible as it relied on statements which identified the present invention as a signal processor that used a correlation canceller. Although [defendant's] claim construction was eventually rejected by the district judge after objections were filed against this court’s construction, since [defendant] 'asserted reasonable constructions under which its products would not infringe precludes a finding that the first prong of [In re Seagate Tech., LLC, 497 F.2d 1360 (Fed. Cir. 2007)] is satisfied.'. . . This court held the written description regarding [two claims] were inadequate and granted summary judgment in favor of [defendant]. The partial success of its invalidity defenses lend credibility to the reasonableness of [defendant's] actions which defeats the objective prong of Seagate." Masimo Corporation v. Philips Electronics North America Corporation, et. al., 1-09-cv-00080 (DED June 14, 2013, Order) (Thynge, M.J.). The court denied in part defendants' motion for summary judgment of noninfringement as to plaintiff's call processing patents and rejected defendants' argument regarding divided infringement. "[Plaintiff] argues that [defendant] is liable for direct infringement because it exercised control over the entire accused systems. Indeed, the evidence shows that [defendant] determined how customers would interact with the overall system. . . . More importantly, [plaintiff] points out that [two companies] were contractually bound by [defendant] to provide services that used these components. This is precisely the type of relationship that can show direct infringement by a single party like [defendant]. . . . [Defendant] provides no justification for distinguishing between divided infringement allegations that involve a method claim as opposed to use of a system claim. The question for both situations is whether responsibility can be attributed to a single party. The evidence of contractual relationships suggests that [defendant] may be such a party." In re Katz Interactive Call Processing Patent Litigation, 2-07-ml-01816 (CACD June 12, 2013, Order) (Klausner, J.). The court granted plaintiff's motion for contempt of a consent permanent injunction against defendant and its affiliate. Plaintiff was awarded lost profits and attorneys' fees along with a potential enhancement of double lost profits because defendant created the affiliate to avoid the parties' settlement agreement and injunction. "[The affiliate] and [defendant] are under common control. . . . [Defendant's principal] is the founder, president, sole shareholder, and sole decision-maker for [both entities]. . . . [The affiliate's] sole purpose is to develop, manufacture, and offer for sale the [device at issue]. . . . [Defendant's principal] created [the affiliate] to evade the Agreement and the Consent Order. It is undisputed that [the affiliate] had notice of the Consent Order, that [defendant's principal] . . . was secretive about his plans to develop the [device at issue] even as the parties were engaging in settlement negotiations at the time he signed the Agreement. . . . "[A]n award of Plaintiff’s lost profits is appropriate to ensure Consent Order compliance and to compensate Plaintiff for losses it suffered as a result of Defendants’ contemptuous conduct. . . . The ultimate sanction amount, including whether to impose an enhanced award, depends at least in part on the sales figures for the [device at issue] for Plaintiff to use in determining the amount, if any, of Plaintiff’s lost profits. . . . Plaintiff is also awarded reasonable attorneys’ fees incurred in conjunction with seeking contempt for violation of the Court’s Consent Order." Hubbard/Downing, Inc. v. Kevin Heath Enterprises et al, 1-10-cv-01131 (GAND May 30, 2013, Order) (Duffey, J.). The Board issued its final written decision that the patent-at -issue, directed to pricing products and services using hierarchies, was unpatentable under 35 U.S.C. § 101. "[E]ach of challenged claims involves the use of an abstract idea: determining a price using organizational and product group hierarchies, which are akin to management organizational charts. The concept of organizational hierarchies for products and customers is abstract as it represents a “disembodied concept,” a basic building block of human ingenuity. Similarly, determining a price is also abstract as it is essentially a method of calculating. . . . [W]hile the challenged claims are drafted to include computer hardware limitations, the underlying process that is implemented on such hardware could also be performed via pen and paper. . . . [E]ven if the abstract idea and 'specific' steps represent a marketplace improvement, the claims are not patent-eligible where the appended steps lack meaningful limitations that prevent the claim as a whole from covering the practical applications of the abstract idea." Petition for Covered Business Method Patent Review by SAP America, Inc., CBM2012-00001 (PTAB June 11, 2013, Order) (Tierney, APJ). The court granted defendant's motion for judgment on the pleadings based on collateral estoppel following another court and the PTO's determinations that the patent-in-suit was invalid even though the PTO made other findings of no invalidity. "[T]he Court disagrees with Plaintiff’s contention that the Texas court’s judgment conflicts with two separate adjudications of patent validity before the [PTO]. . . . A finding by the PTO that the Patent is not obvious or anticipated by the prior art is not in conflict with a judgment that the Patent is nonetheless invalid for indefiniteness. No conflict exists which would prevent the application of collateral estoppel here. . . . Indeed, even if there were a truly inconsistent finding of validity, case law indicates this would not necessarily be sufficient to forego application of the doctrine." JuxtaComm-Texas Software, LLC v. Lanier Parking Systems of Florida, Inc. et al, 6-11-cv-00514 (FLMD June 10, 2013, Order) (Baker, M.J.). The court denied without prejudice plaintiff's motion to strike portions of a report by defendant's invalidity expert. "Federal Rule of Civil Procedure 12(f) governs the court’s authority to strike items from the record, and it permits striking matters only from pleadings. . . . [The expert's] report is not a pleading, nor for that matter a brief or affidavit, and therefore cannot be stricken by the Court. . . . Federal Rules 26 and 37 may provide for the preclusion of certain arguments or the exclusion of evidence in limited circumstances, but in the Court’s estimation these rules are not implicated here. . . . The purpose of [a Rule 26 report] 'is to put the other side on notice about the scope of the expert’s potential testimony.'. . . Rule 37 does not call for the 'striking' of discovery materials; it only limits their future use as evidence. . . . Defendant has not yet presented the Court with invalidity arguments, as Motions for Summary Judgment are not due [for a few weeks]. As it stands now, Plaintiff is essentially seeking an advisory opinion with respect to hypothetical invalidity arguments that are not before the Court." Wonderland Nurserygoods Co., Ltd. v. Thorley Industries, LLC, 2-12-cv-00196 (PAWD June 7, 2013, Order) (Fischer, J.). The court granted defendant's motion to stay pending PTAB covered business method review even though the CBM petition involved different prior art and the PTAB had not yet instituted review. "Plaintiff argues . . . that the prior art at issue in this case differs from the prior art that Defendant has used in the review petitions. The PTAB review, however, may result in a pronouncement on the validity of a patent at issue, whether or not prior art at issue in this case remains at issue in this case. . . . I take note, too, of the observation that '[t]oo many district courts have been content to allow litigation to grind on while a reexamination is being conducted, forcing the parties to fight in two fora at the same time.'. . . Allowing one to conclude, even if the two proceedings involve different prior art, is likely to streamline the other. . . . [I]t has been held, within this Circuit, that the relevant stay provisions of the AIA apply when the petition for review is filed, and not when the PTAB institutes such review." Sightsound Technologies LLC v. Apple, Inc., 2-11-cv-01292 (PAWD June 6, 2013, Order) (Ambrose, J.). The Board denied the petitioner's request for authorization to file a motion to join additional parties to the proceeding as petitioners and as real parties-in-interest because the AIA lacked any statutes or rules for joining additional "parties." "The statutory framework provided by Congress [under 35 U.S.C. § 325(c)] thus contemplates the situation where a party might wish to join an additional petition with an already instituted proceeding, and provides a way for that party to do so. The statute requires the filing of 'more than 1' petition for joinder to take place.... Thus the statute and corresponding regulation are directed to joining of proceedings not parties." Petition for Covered Business Method Patent Review by US Bancorp, CBM2013-00014 (PTAB June 5, 2013, Order) (Giannetti, APJ). The court granted plaintiff's motion to disqualify defendants' counsel because defense counsel had been prosecution counsel for plaintiff for two patents, one of which was similar to the patent-in-suit and shared the same inventor. "[T]his is a classic case of side-switching: the successive representation of one client followed by another adverse to the first client’s interests. . . . [Plaintiff] argues that by questioning the propriety of [the inventor's] inventorship of the [patent-in-suit] during his deposition, the position [defense counsel] has taken on behalf of defendants in this case threatens the validity of all of [plaintiff's] patents. . . . While defendants further argue that the questions asked of [the inventor] are standard and asked of any named inventor of a patent asserted in litigation, this does not absolve [counsel] of its ongoing duty of loyalty to its former client. [Counsel] was apparently aware of this potential conflict when it agreed to represent defendants, as evidenced by their decision finally to close long-inactive [plaintiff] matters in the same month it appeared on defendants’ behalf in this case. Yet it failed to obtain a written conflict waiver from [plaintiff] . . . or even to establish an ethical wall preventing [its] attorneys representing defendants from accessing [plaintiff's] confidential information and from speaking to attorneys at the firm familiar with the [plaintiff's] representation." Malico, Inc. v. Cooler Master USA Inc., et. al., 3-11-cv-04537 (CAND June 4, 2013, Order) (Seeborg, J.). The court granted defendant's motion to compel documents concerning plaintiff's involvement in its customer's request for reexamination as to one of defendant's patents-in-suit. "[Plaintiff] urges that [defendant] is not contending that [plaintiff] participated in or controlled the reexamination of the [patent], but rather only indemnified [its customer] for its costs. This argument misses the point, however, because [defendant] is seeking discovery to discern the extent of [plaintiff's] financial involvement in the reexamination, which if extensive could implicate estoppel principles." Bortex Industry Company Limited v. Fiber Optic Designs, Inc., 2-12-cv-04228 (PAED June 3, 2013, Order) (Goldberg, J.). The court denied without prejudice defendant's motion for summary judgment of no willful infringement. "The problem with the Defendant's Motion is that it seems to assume that by simply stating and presenting its defenses it has met its summary judgment burden of negating the existence of the objective prong of the [In re Seagate Tech., LLC, 497 F.3d 1360 (Fed. Cir. 2007)] test. . . . The Court concludes that there are likely mixed questions of law and fact with regard to [defendant's] defenses, insofar as the jury should be presented the evidence to 'determine the underlying facts relevant to the defense[s]' before this Court rules on the objective prong of willful infringement. . . . [I]t is telling that according to [plaintiff], there is no evidence that [defendant] actually considered or relied on any of these now-asserted defenses before it was sued, and it was not relying on any legal advice before acting." Grant Street Group, Inc. v. Realauction.com, LLC, 2-09-cv-01407 (PAWD May 31, 2013, Order) (Hornak, J.). The court required plaintiff to provide information regarding its process in answering defendant's document demands before ruling on defendant's motion to compel further production. "When decrying the burden imposed by the document demands of an adversary, parties would be wise to follow Hemingway’s advice to 'show the readers everything, tell them nothing.'. . . [Plaintiff], however, has not provided to either [defendant] or the court any evidence of the universe of document custodians, a clear sense of the sources of discovery, or a sampling of responsive documents generated by [defendant's] proposed terms. Without this information, the court has an insufficient basis to determine the merit of [plaintiff's] objections. . . . This court is more than receptive to imposing strict limits on otherwise unbounded discovery, but it needs facts, supported by evidence, to draw the appropriate lines. It cannot do its job on the basis of mere complaints and suppositions." Emblaze Ltd. v. Apple Inc., 5-11-cv-01079 (CAND May 29, 2013, Order) (Grewal, M.J.).